To reduce disparities in access to education and health. The Molina Foundation is a national nonprofit organization focused on reducing disparities in access to education and health. Since its inception in 2004, The Molina Foundation has worked with more than 2,500 organizations and schools towards this end, donating over 5.5 million books and hosting workshops and programs for educators and families. The Molina Foundation works hand-in-hand with community-based organizations in vulnerable communities. We partner with preschool programs, clinics, schools, family service organizations, churches, and other civic organizations serving low-income and at-risk families. We have a special focus on working with organizations which are making measurable impact in the lives of children and families. Martha Molina Bernadett, M.D., MBA is the President and CEO of The Molina Foundation. As a family physician, Dr. Bernadett understood the importance of literacy and education in overcoming health disparities and, together with her husband, formed The Molina Foundation in August 2004. Thanks to your support and encouragement, The Molina Foundation this past year made great progress in our mission to help children and families access critically-needed resources. I’m proud to share that we were able to combine impact with efficiency: 94 cents of every dollar went to bringing new books and learning materials to families in need. One of our top achievements was fulfilling a long-held dream: we produced our first publication. 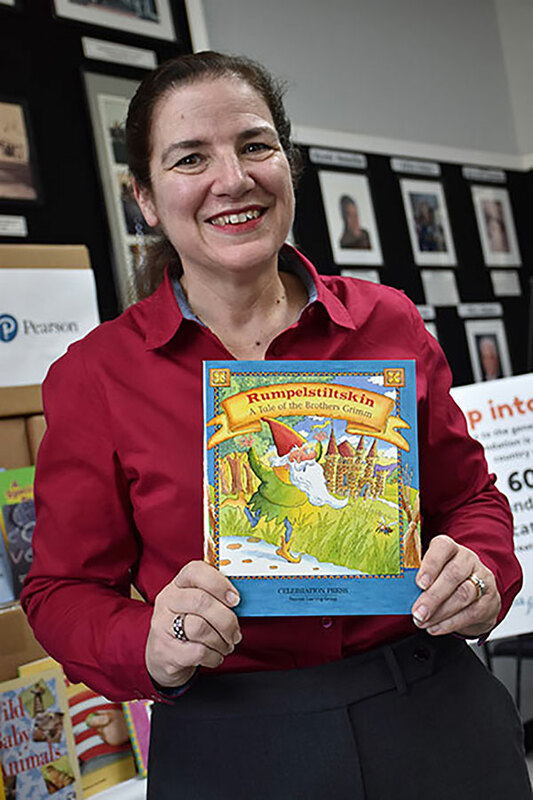 It’s a 36-page bilingual Spanish-English activity book, “On My Way to Kindergarten/En Camino al Kinder.” The book not only fills a much-needed gap in resources available for families with young children, but it is also generating income for the Foundation as we strive to become a stronger and more sustainable organization. Our Book Buddies program continues to bring new books to hundreds of thousands of families in need. Much of this success can be attributed to our growing relationship with the national network of Community Action Agencies. These remarkable poverty-fighting organizations are helping us ensure books are entering homes of hard-to-reach families. But sadly, it was during 2018 that we lost our dear colleague, Rosi Pedersen. For more than a decade, Rosi embodied both the heart and humor of The Molina Foundation. She was a fierce advocate for teachers, parents, and children. Rosi inspired us with her passion for learning as she designed and led programs to empower the next generation of educators. Her insight and expertise will continue to influence our work for years to come. We’re looking forward to a strong 2019, and hoping it will be another productive year that brings even more good things for us and the children and families we serve. For more information about our financials, you can visit The Molina Foundation profile on Guidestar.